Her insights on pain, miscarriage, and marriage are full of important lessons. Michelle Obama’s memoir, Becoming, comes out on Tuesday, and ahead of its release, she’s speaking about her personal struggles and stresses, and how she’s overcome them. “Good Morning America” teased an interview in which Obama talks about miscarriage, marriage counseling, and learning that she is responsible for her own happiness. 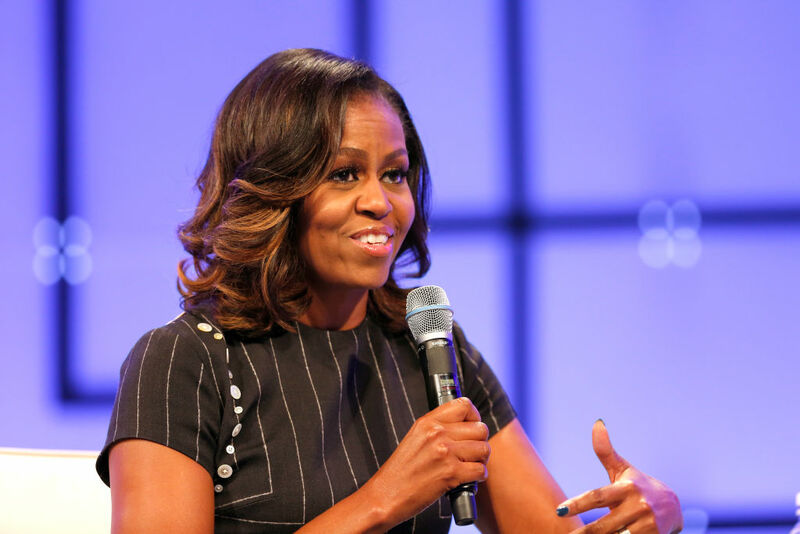 While the former First Lady has been private about her personal struggles in the past, the wisdom she is sharing now is profound. She has a lot to teach us about finding your path and traversing it with strength, even when the going gets tough. Miscarriage is more common than you think. Talk about it. Miscarriages are common — ten to twenty percent of known pregnancies end in miscarriage, according to the Mayo Clinic — but they don’t always get talked about, and that silence affected how Obama felt about her own miscarriage 20 years ago. “I felt lost and alone and I felt like I failed, because I didn’t know how common miscarriages were,” she explains. “We sit in our own pain thinking that somehow we’re broken.” By speaking out, Obama is sending a powerful message to other women: They aren’t alone. Marriage counseling “was my pivot point, my moment of self-arrest,” Obama shares. “What I learned about myself is that my happiness was up to me. So I started working out more and I started asking for help more. I stopped feeling guilty. It was important for me to take care of myself; that’s not on Barack.” Research has shown that practicing self-care is a powerful necessity for caregivers. Obama’s self-care tactics — working out, asking for help — are backed by research as well, and are known to be useful, productive paths towards increased well-being. Emulating her example can go a long way towards improving your happiness.